BOSTON, U.S. – The 2019 Re:co Symposium takes place today and tomorrow (April 10–11,) in Boston. This year’s theme is dubbed “Coffee In Crisis: A Call And Response”. This year, the coffee “C” price fell to its lowest point in 12 years, pushing below US$1.00/lb for the first time since Re:co’s inception. This price is a potent symbol of a shocking reality: coffee farming has been an unprofitable business for many producers for many years. Individuals, companies, and organizations will gather together to address the crisis coffee farmers all over the world have dealt with for many years. 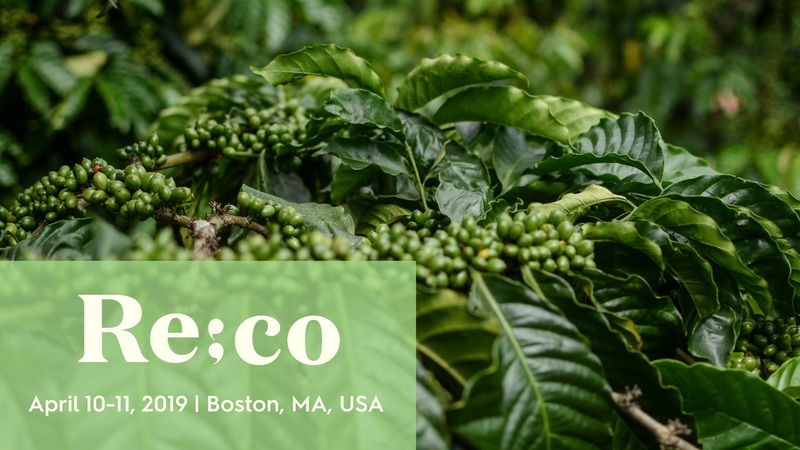 This year’s Re:co will be about coming together to learn, collaborate, and act to address this challenge that faces all of us in specialty coffee. Macroeconomic Dysfunction in the Coffee Trade: What are the mechanisms behind the volatile shifts in the coffee market? We’ll convene with experts to understand the functions and challenges of the coffee system. Cost of Production and Profitability for Coffee Producers: Do we really know what specialty coffee costs? Buyers and producers alike need to understand what it takes to produce specialty coffee so that it can be priced sustainably. New research helps us to better understand the cost of production and integrate these learnings into our trade strategies. Value Chains, Transparency, and Market Linkages: This isn’t the first coffee price crisis – what tools did we employ previously? How successful were they? What new tools are offering potential solutions? We’ll evaluate traditional tools like certifications and cooperatives and explore new tools like transparency systems and market-linking approaches. The Role of Innovation and Technical Advancement: How can new technologies fuel change and increase efficiencies? What role does new technology have to play in the resolution of the crisis? We’ll explore and evaluate advances in innovation positioned to make an impact. Growing Consumption: Letting Go of Sameness: We’ve become accustomed to specialty coffee consumption growing at a fast pace, but some signs indicate adoption may be slowing. Have we hit peak consumption within our target customers? What could we stand to gain if we became more diverse in our approaches and offerings? Speakers include: Carlos Brand, Chair of the GCP Board, SCA’s Chief Research Officer Peter Giuliano, SCA’s Executive Director Emeritus Ric Rhinehart, Vanúsia Nogueira, Executive Director, BSCA, Hanna Neuschwander, Director of Communications, World Coffee Research. The full list of speakers can be found here.